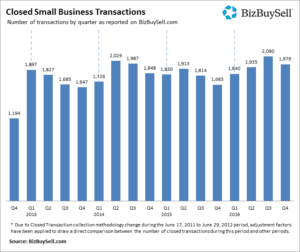 BizBuySell, the largest on-line platform for business sales, has released their 2016 fourth quarter report on small business transactions. The report confirms the results of our own Exit Planning Survey, which identifies business owners are increasingly confident about selling their business. 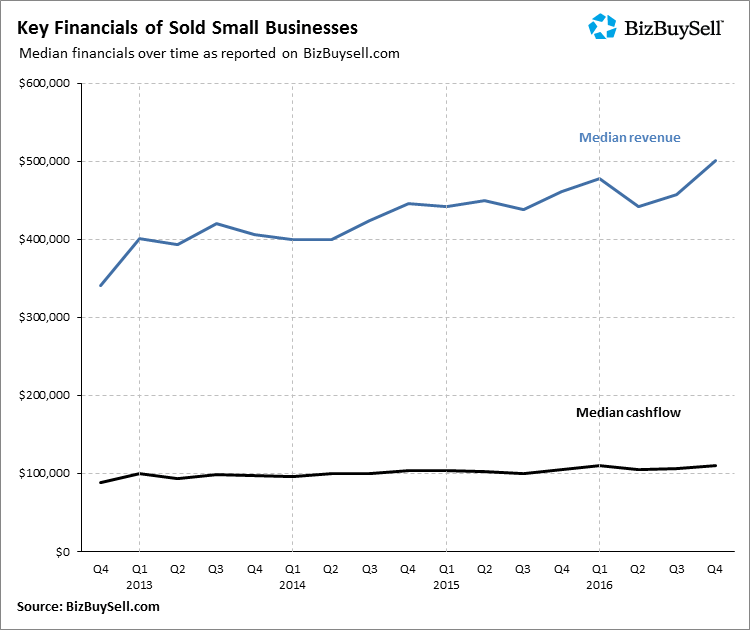 The BizBuySell insight reports for year end 2016 included a record number of small businesses sold for the year. Closed transactions reported totaled 7,842 for 2016. 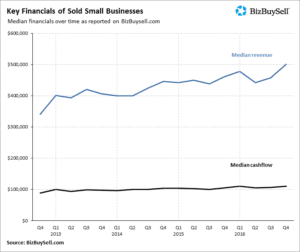 The median revenue of companies sold increased to a new high for both the fourth quarter and aggregated for the 2016.